The provisional results and splits are here, please send any comments or queries about the results to me (). The National Trust have requested that runners arrive with cleaned footwear and to wash them prior to leaving. There will be a some cleaning equipment at the event for you to use. Thanks for your co-operation. Take minor road signed Hodge Close from the A593 (Coniston – Ambleside road) at High Yewdale, grid ref: SD314997. Beware potholes! Parking is on fairly level rocky spoil among old quarry workings which are potentially hazardous with steep loose slopes, derelict structures and some underground workings. Be sensible and supervise children. A particular hazard is the two huge holes across the road from parking. Please share transport if possible as parking is restricted. 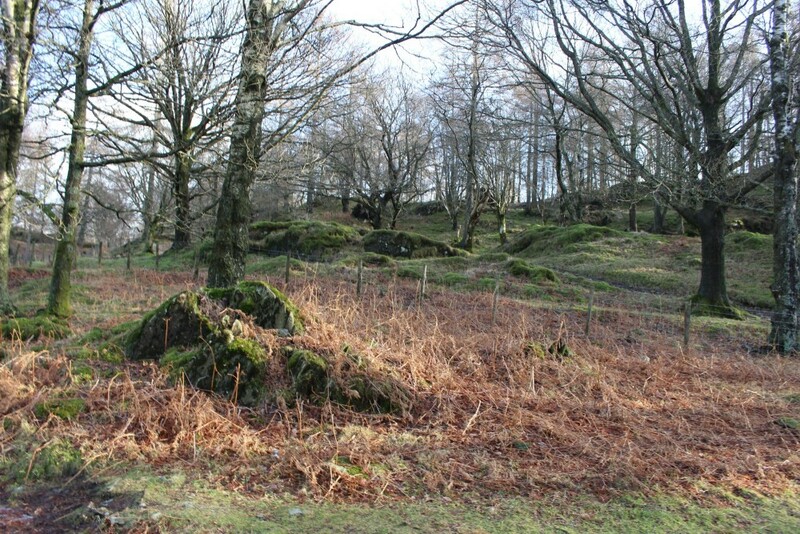 There are some high quarry faces near the start/ finish and high crags in the terrain. Courses do not encourage approach to these from above, beware in case you come across them. There are also some deep ponds, please avoid. The safety bearing is North West until you reach the rickety fence or a track. Follow to the start and finish. The Short course will be a cut-off of the Long course, the Long and Short courses will be designed to be TD5 standard. The Orange course is a little more testing than typical. The early part is mostly in an enclosed area but the later part goes onto the open fell and will need some interpretation of major contour features. There is a butterfly loop – one control is visited twice. Also on Orange, near controls 3, 4 and 5 there are two small fenced enclosures which are not shown on the map. It may also have a taped leg. Please make sure juniors are aware of this so they don’t get confused. Courses will close at 19.30 and you must return to DOWNLOAD as soon as possible even if you retire to avoid the event team having to initiate a search at the end of the event. A whistle must be carried.